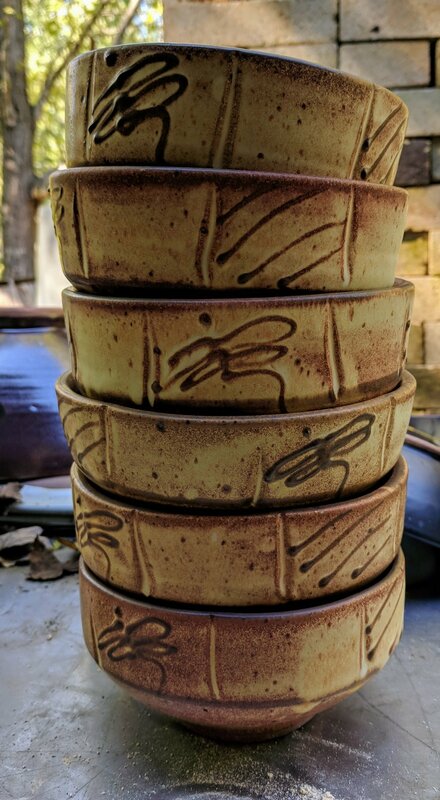 I seldom go back and try to duplicate pots I made in the past, but this group of bowls made for a special couple has reminded me of how much I liked this glaze. I used it for years, on many types of pots, and it varied widely in different parts of the kiln. I think it’s time to revisit.